The Mapping Ocean Wealth (MOW) Australia team (OzMOW) are currently working hard to understand the distribution and value of carbon stored in ecosystems such as mangroves, seagrass beds and saltmarshes, otherwise known as blue carbon. Methods for quantifying carbon in soils are already well established and the OzMOW team have recently updated blue carbon stock maps for MOW geographies in Southeastern Australia (Port Phillip Bay and Western Port, and Richmond River). A major limitation in the sampling of blue carbon is the lack of non-destructive ways in which to measure the carbon stored in leaves, roots and shoots of saltmarsh plants in Australia. 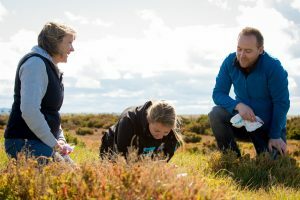 Yet excitingly, the team are working on new methods that will enable the rapid, non-destructive measurement of the weight of living tissue in a saltmarsh shrub, otherwise known as the plants biomass. The new methods will enable an accurate estimate of stored carbon through the use of simple mathematical equations. Once developed, these equations can then be applied to every individual within a given area to provide valuable information about how much carbon can be stored in saltmarsh ecosystems as a whole. How do we measure saltmarsh biomass? Recently, the Oz MOW team have been surveying the coastal saltmarshes of western PPB taking measurements such as plant height, stem diameter and canopy area of our chosen saltmarsh shrubs. After collecting the measurements, the team then remove the saltmarsh shrubs and dry them back in the laboratory to remove all water molecules. The remaining dried shrub is composed of carbon and nitrogen compounds, or biomass. These biomass values can then be plotted against the shrub’s field-measurements and mathematical relationships can be identified. These relationships form the equations that can then be used to predict biomass in any shrub of that species without destructive harvesting techniques. This summer, the Oz MOW team are assessing the blue carbon potential of tidal saltmarshes within the western area of Port Phillip Bay, Victoria. This area has a complex land use history involving large areas devoted to the production of salt, which, over many years, has resulted in the loss of large areas of saltmarsh. Since the closure of the saltworks, saltmarsh appears to be successfully re-establishing creating a haven for many birds and other wildlife. 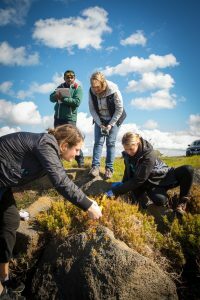 By applying the newly developed equations we can rapidly assess saltmarsh biomass (and also carbon sequestration) without disturbing this delicate rehabilitating ecosystem, this makes it easier to monitor the recent natural regeneration. 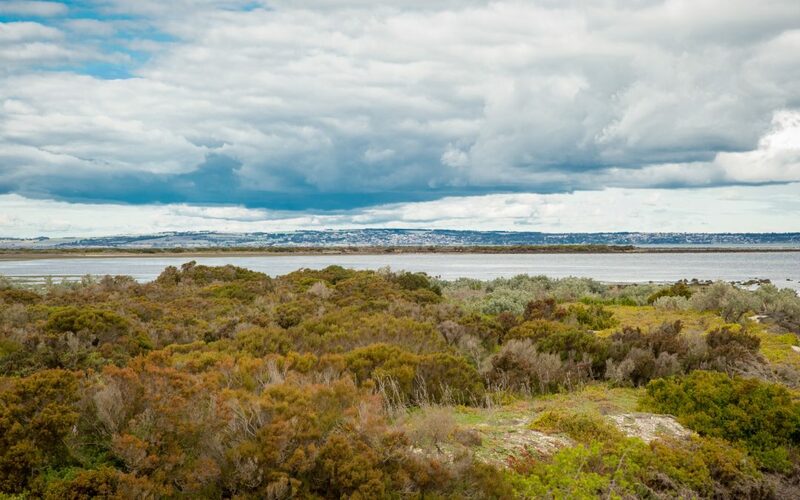 These restored saltmarshes are valuable sites for studying the biodiversity benefits of saltmarsh ecosystems and their blue carbon potential. They also provide important locations for demonstrating the potential for future rehabilitation as part of conversation efforts.